As of mid-January 2017 the all new, signing & dancing, William Merritt Disabled Living Centre opened its doors. Having been resided in St Mary’s Hospital in Armley, Leeds for many a year the non-profit organisation moved location to Aire House in Rodley, Leeds to continue providing impartial information, advice and assessments on equipment and practical aspects of daily living for disabled people of all ages. More Ability, part of the Passmore Group, has worked with the William Merritt Centre since 1998. During that time we have fund raised and sponsored the centre on a number of different occasions, the most recent being MD, Tony Passmore’s 500km Burma Cycling Challenge which saw him raise £3K for the centre. 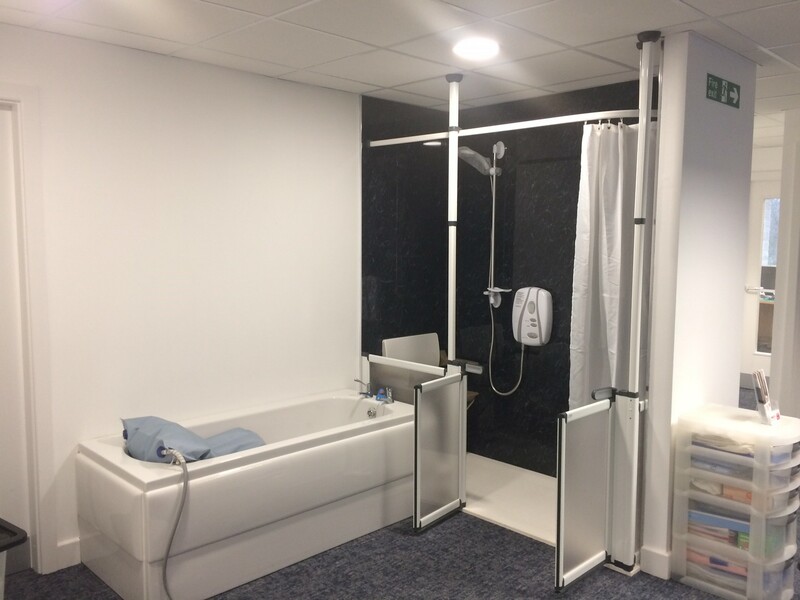 As well as monetary support More Ability have also been on hand to help raise awareness, offer advice, educate and train on the do’s and don’ts, best practice and product demonstrations with regards to safe and practical (elderly) / bespoke and assisted (disabled) bathroom solutions. The support has been offered across the board from end user to healthcare professional. Continuing this support, we couldn’t help but offer a helping hand when we received wind of the centre up and moving. With the centre being a charitable organisation, More Ability, part of the Passmore Group, offered expertise, knowledge and man power, refurbishing 3 key areas including the supply & installation of all products / amenities as listed and pictured below. 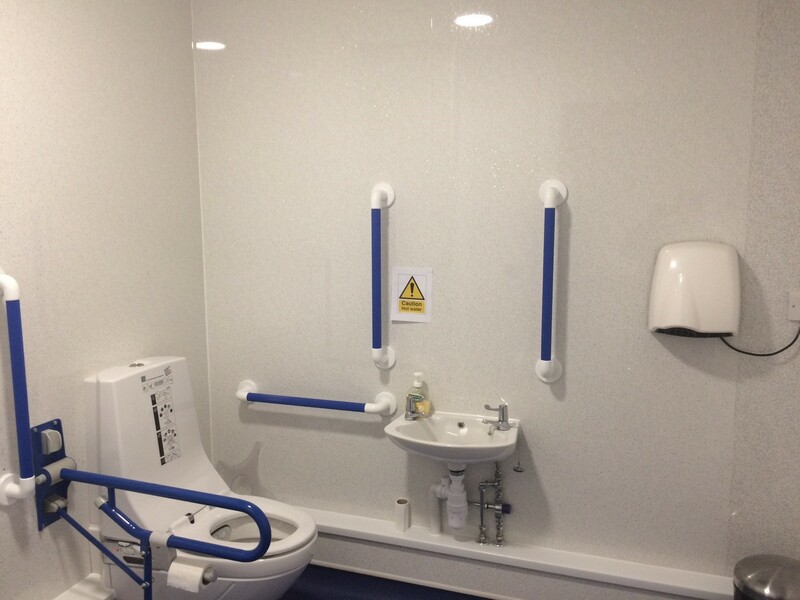 Designed, supplied & installed a ‘changing places’ area which is a specially designed facility where someone with a disability can go and clean themselves / get changed. Actually a government initiative that was brought about as it became apparent that thousands of people with profound and multiple learning disabilities, as well other disabilities that severely limit mobility, cannot use standard accessible toilets.